Mahwah: A “Special Meeting” has been scheduled for January 25th at 10am. The purpose of the meeting is to go into Closed Session to discuss: Litigation. As the next scheduled Mahwah Town Council meeting is 2/8, it would appear this special meeting is the Council’s last chance to settle claims against them before the Court imposed deadline. On January 12th, the Townships’ Counsel, Cleary Giacobbe sent a letter to Court indicating they needed an extension of the time to answer the complaint because “the parties are in the process of engaging in settlement discussions that would resolve this entire matter”. The Court extended Mahwah’s time to answer the complaint until January 31st (the Judge indicated that it was being extended “for the last time”). As the legal actions begin to wind down, in favor of the Eruv Association, the Township Council remains, as defiant as ever. Earlier this spring, some residents noticed Hasidic Jews hanging out in local Mahwah Township parks. Almost immediately, cries were heard about “overcrowding” and “other people”. Local political leaders were swift to act. Ordinance 1806 came first. 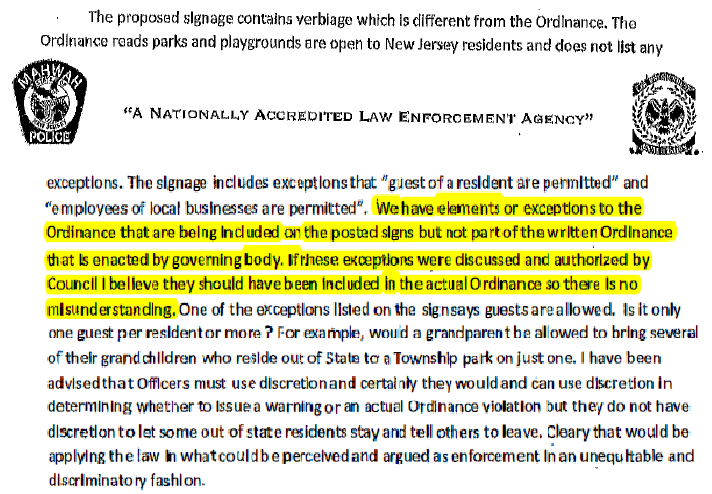 The letter of the law banned non-NJ residents from enjoying the amenities in local parks. But it was in the application, where the truly pernicious nature became readily apparent. The restrictions only applied to certain non-residents. You can’t only apply laws to certain people (e.g. Jews from Rockland County), and not an out of state Grandma with her Mahwah resident grand-kids. That would be unequal treatment under the law for which the cops could be liable to scrutiny and legal action for selective enforcement. From a municipal perspective, the last thing anyone should want is another easily winnable lawsuit because of a poorly drafted ordinance. But as you can see below, this is exactly the kind of situation the council created when they enlisted the lawyers to draft Ordinance 1806. 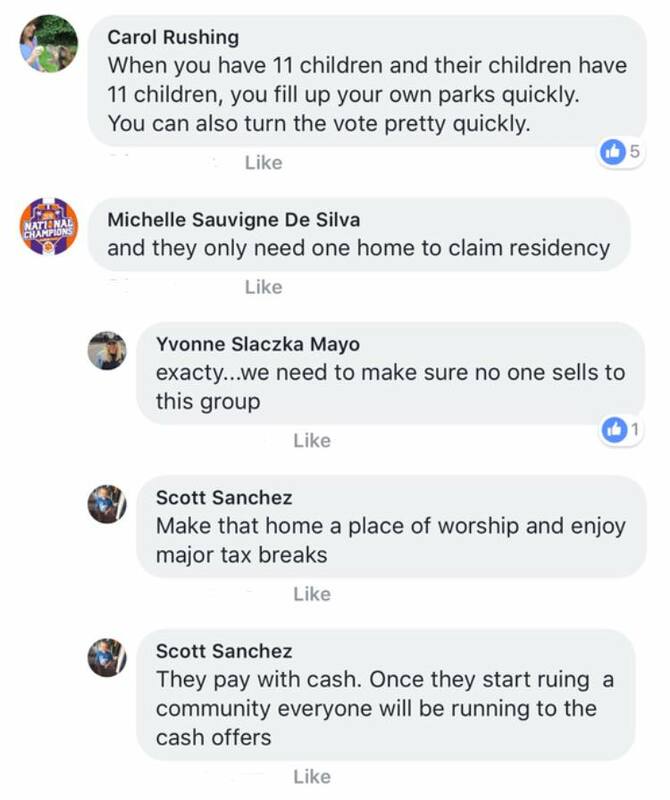 To be blunt: Mahwah’s Mayor, Council President and the rest of the Council designed and enacted an ordinance that prohibited Jews from crossing the adjacent NY border to use the parks in their town. They exempted the non-residents they liked and declared the rest, verboten. Prior to ordinance 1806 going into effect, there was ample evidence that it was problematic. The township’s business administrator, Quentin Wiest, had inquired and was explicitly told as much from Jerry Giaimis, the administrator of Saddle River. Mr. Giaimis even referenced the NJ Court opinion it would violate. Yet, thinking they would be able to get away with it, Ordinance 1806 went into effect… almost. A few days before it was set to take effect, the Chief of Police, James Batelli, wrote a letter to the governing body, following up on his previous email, outlining concerns he had about enforcement of the parks ban. He stated that he would not be able to enforce the ordinance. 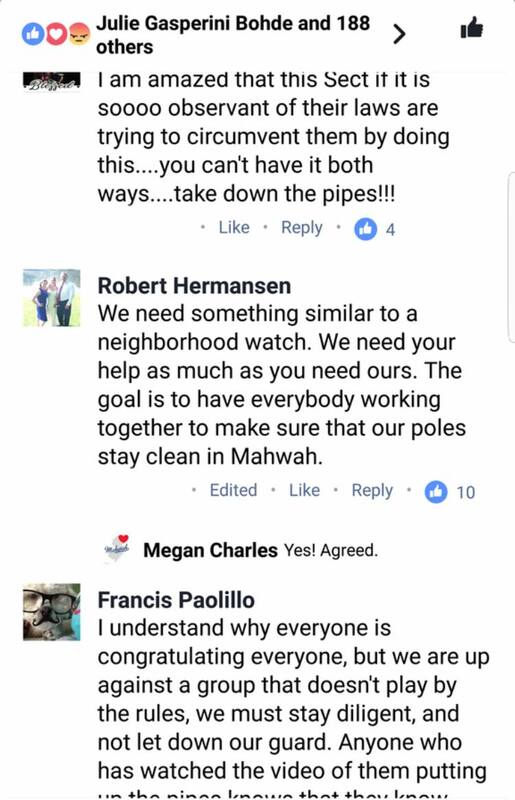 Sending men with guns to ask Jews for their papers wasn’t going to happen in Mahwah under Chief Batelli’s watch, no matter what the Council had to say about it. The police must abide by the Law Against Discrimination and must uphold the protections of the State and Federal Constitutions. “The Ordinance essentially leaves our officers little other choice other than to ask for identification for no reason or for impermissible reasons and opens the door for civil based litigation and/or Internal Affairs complaints”. The reaction from Mahwah was as swift as it was pointed — Mahwah’s Council President stated he wanted to look into disciplinary charges in an explosive 1am email and Ordinance 1811 was introduced, which would create the position of “Police Director”. This new ordinance would replace the top law enforcement official (the Chief of Police) making him subordinate to a civilian police director, appointed by the council. In response to threats from Robert Hermansen and the Council, the Chief of Police sought advice from the Bergen County Prosecutor, Gurbir Grewal (Mr. Grewal is now the NJ Attorney General, appointed by Gov. Murphy). Mr. Grewal came to the same conclusion as Chief Batelli. 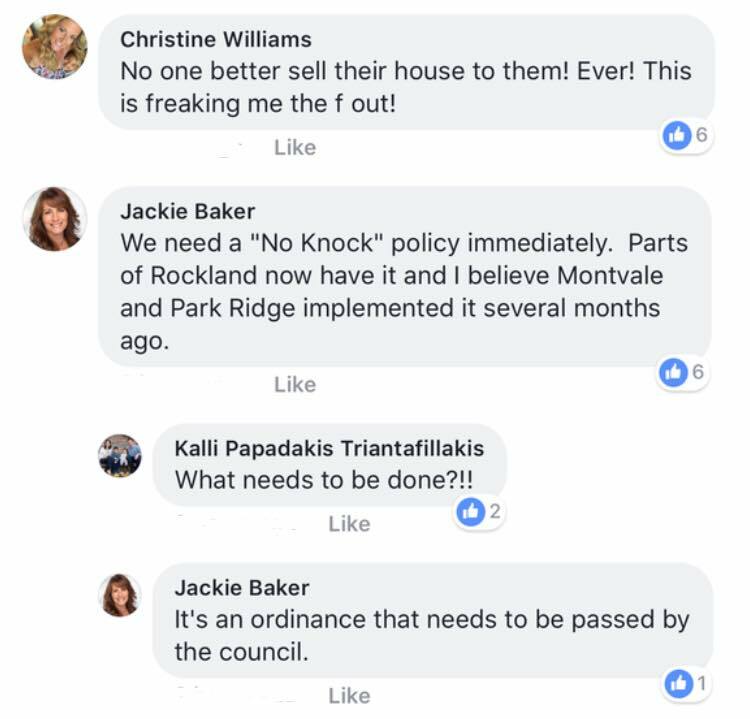 “I concur with your observations concerning the Ordinance [that enforcement may violate the constitutional rights of individuals using Mahwah parks] and agree that its enforcement raises serious legal issues… the Ordinance raises numerous constitution concerns… it provides no neutral criteria for MPD officers to utilize when deciding to detain an individual… it’s enforcement would violate the Fourth Amendment‘s proscription against unlawful searches and seizures. 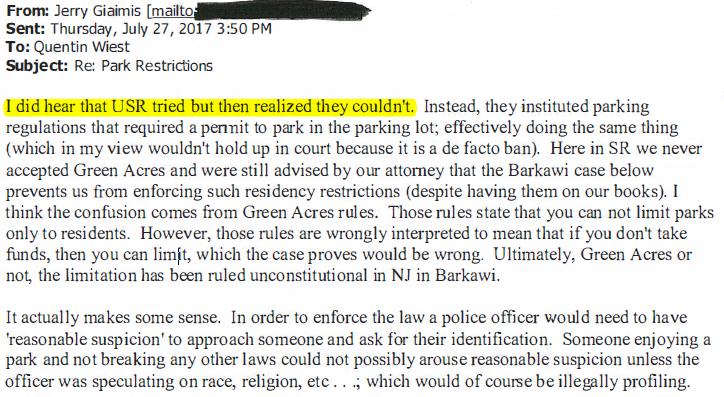 Indeed, in Barkawi v. Borough of Haledon, the Appellate Division affirmed the trial court’s invalidation of a similar ordinance excluding non-residents.” [ed note: Haledon was the same action, cited by the administrator of Saddle River in response to Mahwah’s inquiry about similar rules in other municipalities]. The reaction from Mahwah was, again, as swift as it was pointed. The Council continued to create bigoted ordinances. Ordinance 1812 aimed at creating an identical ordinance that neighboring USR was using to prevent Hasidic Jews from putting up an eruv in the Township. 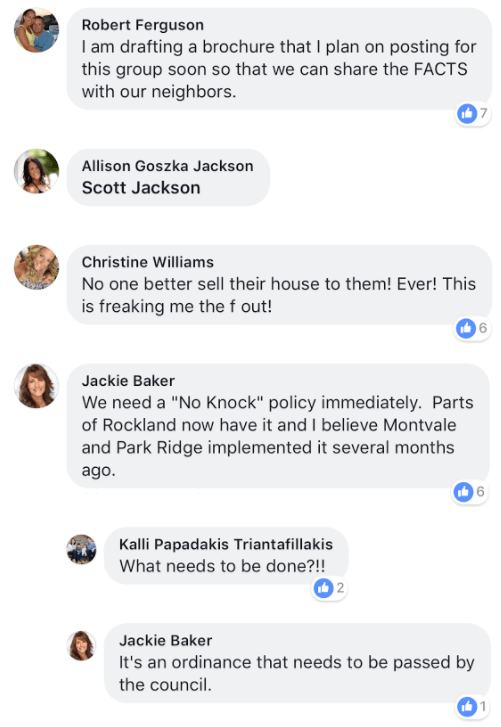 Then came the “No-Knock Ordinance” amid unfounded cries from the mob that Jews were lugging around suitcases of cash, ready to “block-bust” their way into the neighborhood. Then came the do’s and don’ts for activities in parks, banning activities as benign as playing ball or leaning a bicycle against a tree. The council may have claimed the no-confidence vote had to do with an interview Laforet gave, but the pattern was crystal clear. The unmistakable message: Listen Mayor, if you won’t act the way we want, we have ways of making your life miserable. All the while, rhetoric in the council chambers remained antagonistic to Jews. Jewish speakers calling out against the ordinances would be shouted down by the Mr. Hermansen and were not permitted to finish a thought without interjection. 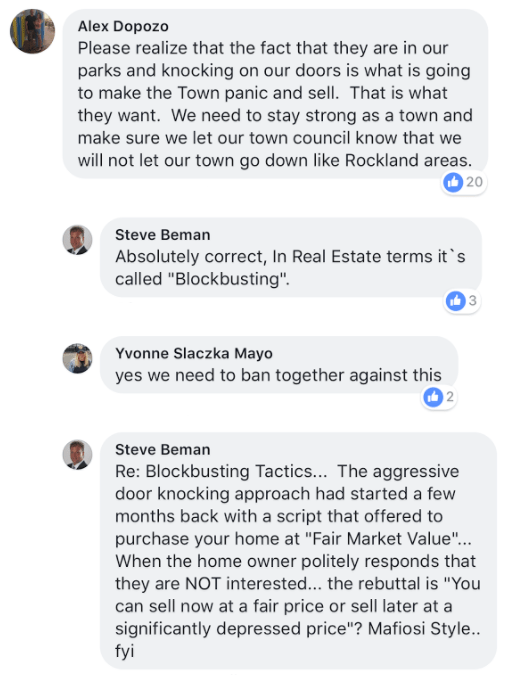 Mahwah is reacting as it has in the past. A recall effort against the Mayor has been launched. Punishment and threats are what the mob demands of those that stand up to them, in the name of justice and equality. 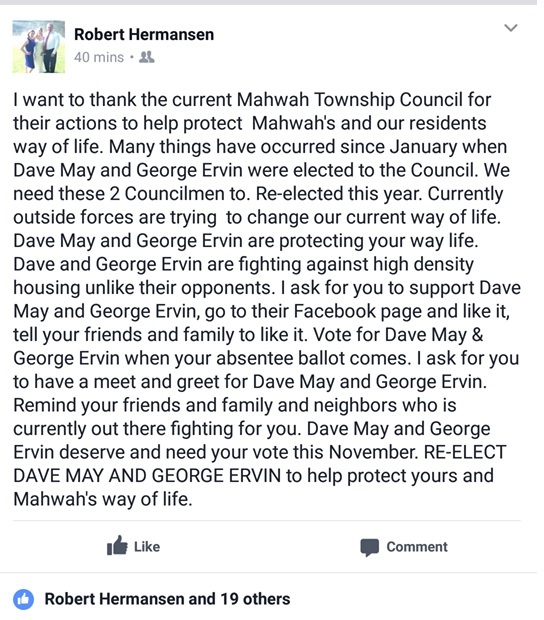 Since June, when Chief Batelli advised the Township that efforts to restrict parks and create ordinances banning an eruv are unenforceable at best — and unconstitutional at worst, Mr. Laforet has been the only elected member of Mahwah’s government to switch gears, coming out to do the right thing. And doing the right thing in Mahwah gets you punished. It got the Police Chief a threat from the Council President in the form of a request for departmental charges and an Ordinance subordinating him to a Police Director. It got the Mayor a rebuke from the Council in the form a vote of no confidence. And now, after efforts in the Courtroom have proved unsatisfactory to the hate-filled mob, residents are trying to recall the Mayor from office as the Council is cheering them on from the bully pulpit. 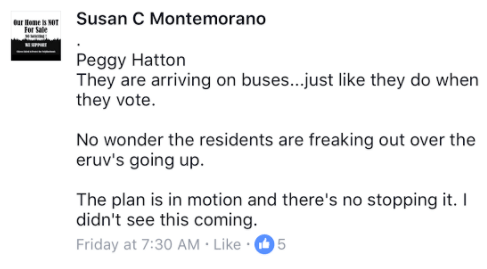 The stated reasons for the Recall include: blatantly lying to the public about his knowledge of planned expansion of non-resident partisan political groups into Mahwah. They may have just as well said: Jews. If you didn’t know better, “non-resident partisan political groups” may sound nicer than “Jews“, but in Mahwah, we do know better. We have seen this play out over months, in their Town Council chambers, by elected representatives, who remain without an iota of contrition or remorse regarding their actions. 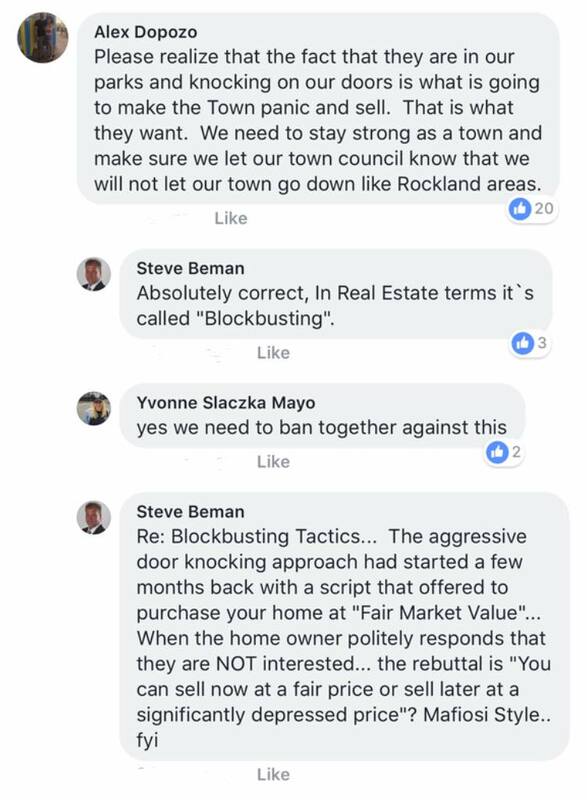 The Mahwah Town Council currently has two civil rights suits to deal with. They have shown absolutely no indication that they understand or care that they have acted inappropriately. Before any settlement is reached, the respective plaintiffs on the other side of the table, should ensure Mahwah acknowledges the harm they have engendered. It is necessary because the acrimony continues to reverberate throughout the wider community of Bergen County. Whether the Council felt it was protecting its residents or way of life is immaterial. Extremism is still extremism when your heart’s in the right place. After attacking the Police Chief, the Council decided to honor Chief Batelli for his 39 years of service with a resolution on December 1st. He didn’t show up to the meeting. On December 28th, the Council indicated that Judge Carver has been retained to investigate a hostile workplace claim against the township. Assuming this claim was by the Chief of Police, this issue is far from over.